Welcome to my new website. Thank you for visiting. I hope that you find lots here that is of interest to you. 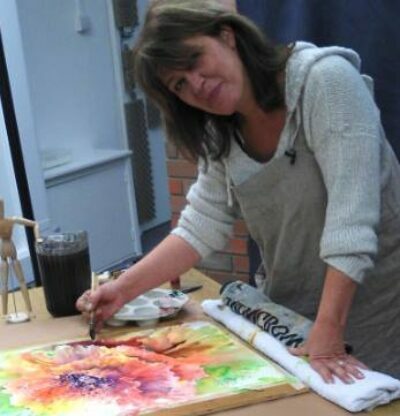 I am an experienced artist and tutor, with a life-long love of painting and drawing and a passion for nurturing those skills in others. I derive immense pleasure from helping others to discover the endless joys (and occasional frustrations) of painting, and to progress, whether they taking their first tentative steps or are seeking to develop their technique and style. As a tutor my goal is to do so much more than demonstrate and pass on my knowledge. I regard it as my role to understand my students aims, and fears, to help them to achieve the former and to lose the latter, to encourage, and to make it fun. I get unbelievably excited and proud when I see students blossoming. My students tell me that my patience is endless and that my enthusiasm is infectious. Perhaps that is because I genuinely believe that anyone can learn to paint, it just takes the desire, tuition and plenty of persistence, and the knowledge that art is so very good for the soul. 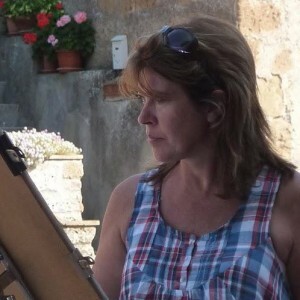 My love of teaching has seen me running workshops in my home patch, in the north-west of England, and demonstrating at art shows and societies across the UK, as well as being the guest tutor for painting holidays in Europe and the UK. I count myself lucky that I am able to do something that I enjoy so much and which has introduced me to so many new friends. Whenever I can, I like to paint and teach “en plein air” although the weather does not always allow that in the UK! I believe there is nothing like being in front of a subject that inspires you, with like-minded folk, painting and collecting reference material for future work. I know that the prospect of painting in public can be scary for many people and I like the challenge of showing them how enjoyable and rewarding it is. I do hope that you enjoy exploring this site. In addition to the Galleries of my art work and information about painting workshops and holidays, there are links to many of my teaching videos, if you would like to see me in action. Artko also offer a selection of my florals and nudes.